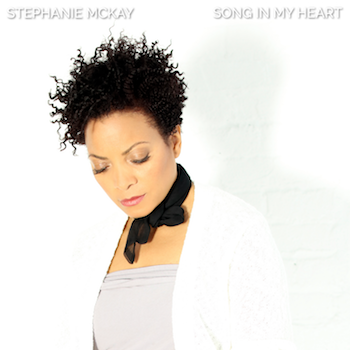 In 20 years Stephanie McKay has collaborated with a wide range of artists including Anthony Hamilton, Yasiin Bey (formerly Mos Def), Talib Kweli, DJ Spinna, Toshi Reagon and many more. Her voice is distinct and utterly soulful: her Ropeadope debut was on the Light Blue Movers release Atlas - and now Stephanie returns with a carefully crafted project on Modern Icon Recordings. Five tracks of longing and uplifting vocals, paired with the funky and intricate playing and production of Adrian Harpham. Titled Song In My Heart, the project brings out Stephanie's true essence and power, the result of a true artist and great producer digging deep to create a lasting document. Song In My Heart will be released on June 15th - stay tuned for details.